Is this the Fraser Range Nickel Discovery we have been waiting for? There seems to be something brewing in this little ASX explorer. 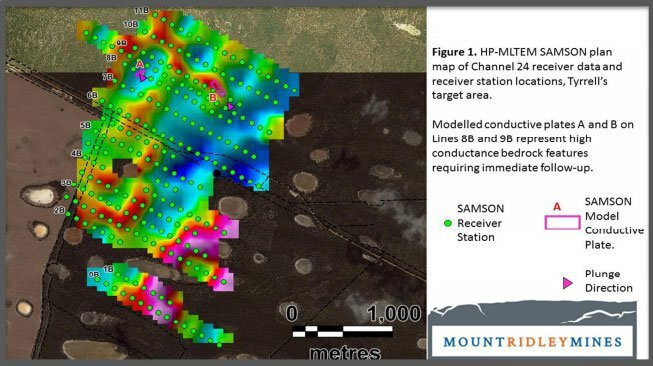 This $12M capped company is exploring for massive sulphide nickel deposits in the Albany-Fraser Range, home to Sirius’ $1.8BN find, and the company has just confirmed the presence of a discrete off hole electromagnetic conductor, just 10m from where it had previously diamond drilled. Sirius’ anomaly was some 40m x 40m, and it catapulted the company to a massive valuation, and into the history books. 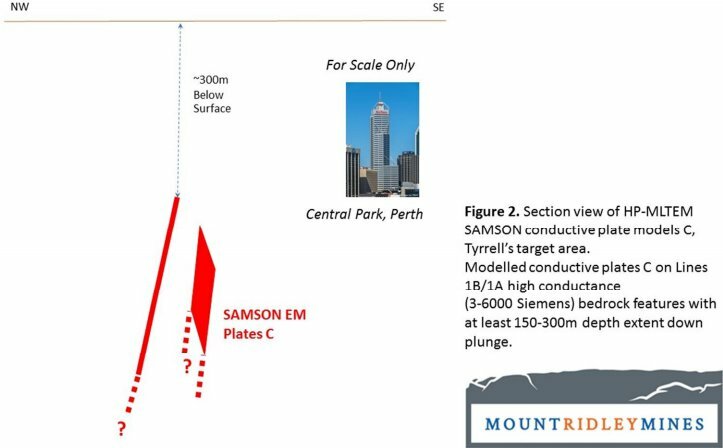 Our ASX stock may have identified the beginnings of a large disseminated nickel-copper sulphide bearing ultra-mafic system. Follow up work is being planned now, comprising targeted aircore drilling and soil geochemistry to delineate high priority areas for follow up high powered EM surveys and diamond drilling. Of course, nickel exploration is speculative, and nothing is a guarantee in geological exploration. Invest with caution and consult a professional financial advisor. 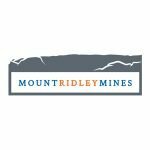 Mount Ridley Mines (ASX:MRD) is an explorer focusing on nickel and copper exploration in the Fraser Range, where it has about 1000 sq.km of tenements. 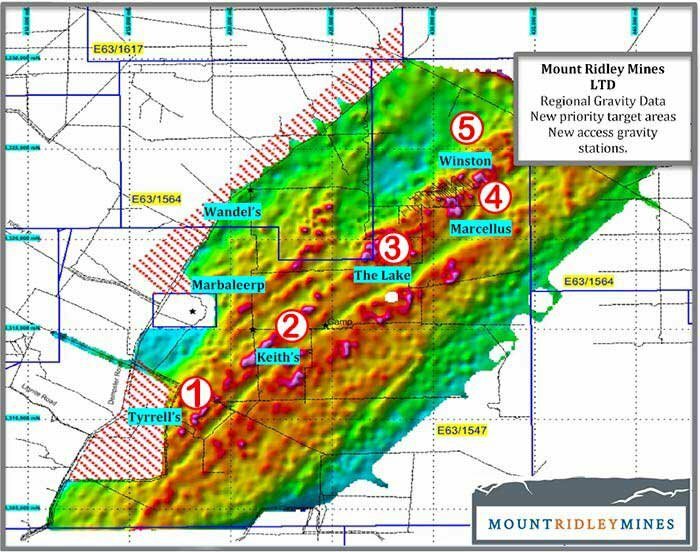 So far MRD is focused on its Mount Ridley project and ‘Target 19’. But after detecting a strong localised off hole conductor from a recently completed down hole electromagnetic survey, it looks like things may be changing. MRD, like a slew of junior explorers before it, has been trying to find the next Nova-style nickel deposit in the Fraser Range in your classic nearology play. This very ground was original pegged back in about 2006 by another crafty prospector. Previous drilling at the project had turned up mixed results. Take this report from a drillhole last year . To be fair there was a diamond hole, MRDD010 which found a ‘stringer’ style of mineralisation grading 1.1% nickel and 0.55% copper – nice, but nothing to write home about. So the question is – what piqued investor interest so much over the last few days? Success at depth in hole 16? MRD recently completed drilling at diamond drill hole MRDD016. Drilling was eventually completed at 801 metres downhole depth, with the company announcing that a localised offhole conductor has been detected. Modelling has defined this to be a strong >10,000 Siemens local conductor centred at approximately 650 metres downhole, 10 meters immediately off-hole below and to the east of MRDD016. The map below indicates where the intersection is occurring. The encouraging results indicate the presence of disseminated magmatic nickel and copper sulphides at this depth. Together with the off-hole conductor, this can be interpreted to be consistent with a pocket of massive sulphide within the vari-textured mineralised mafic-ultramafic intrusive complex. A down-hole wedge daughter offcut from MRDD016 to test this localised DHTEM target is currently being planned, and should commence as soon as detailed modelling of the conductive feature is complete. The DHTEM target will also be tested for proof of concept that a massive sulphide has formed in this part of the large disseminated nickel-copper sulphide bearing mafic-ultramafic intrusive system. Now, we should reiterate that all minerals exploration carries risk – there is simply no guarantee that upcoming results will be positive, and that an investment in this stock will lead to a successful outcome. It’s always a good idea to do your own research and invest with caution. With that in mind let’s look at where the good news started for MRD. An AMT survey conducted had found something potentially huge . It had found an anomaly which bore immediate investigation – an anomaly which explained why it was only really hitting trace amounts of mineralisation to date. MRD had simply not drilled deep enough . It had basically drilled down to about 450m previously, but that massive anomaly you can see in the picture is below that. It’s only because it employed AMT geotechnical work that it was able to uncover the anomaly. So now it had a massive anomaly to follow-up on – but it still needed to narrow the focus of drilling to get the optimum outcome. A little later in the year, at the start of June, MRD announced that it had taken a suite of additional geotechnical work in order to narrow targets ripe for drilling including fixed-loop electromagnetic surveys, regional gravity surveys, and close spaced ground magnetics. In particular, the ground EM survey was undertaken in areas not previously covered by geotechnical work. That’s because a shallow target picked up on the AMT was actually 100m along strike from previous drilling – so that immediately bears following up on. In addition to that, it also took additional ground EM, gravity and magnetic surveys to really try to clamp down on the sweet spots in that anomaly. The theory is that by combining these datasets and seeing where they match, MRD would have a pretty good idea of where to drill for maximum impact. While it was busy narrowing the focus – it also wanted to look a bit wider. MRD wanted to know whether the anomaly found on the AMT was part of a broader structure, or whether it was a standalone feature. So MRD conducted a gravity survey – six lines 8-15km long – and found something interesting. The preliminary results suggested there was a “complex body” present at the project which was made up of two dense ridges – one of which runs directly beneath the target. In this section we’ve talked about all sorts of geotechnical data – but it’s all a little ‘soft science’ for a driller, so MRD did what it does best and tested the anomaly with the drillbit. MRD initially drilled two shallow diamond holes – working on the theory that if the AMT survey was right about the shallow target then there would be no particular reason it would be wrong about the deeper target. MRD first drilled two holes – MRDD013 and MRDD014, the latter was actually designed to miss any mineralisation. So MRDD013 was a success, hitting 66m of “minor disseminated and globular Ni-Cu sulphides”. That’s not a major discovery, but it was enough to conclude that the AMT wasn’t completely out of kilter. Meanwhile with MRDD014, MRD was hoping the drill would miss any significant mineralisation – not usually the approach of a junior explorer. Previous aircore drilling had found a geochemical anomalism in a place where the AMT didn’t pick up anything – so MRD drilled towards the geochemical anomalism. The theory was that if the drill found mineralisation, the aircore drilling would have been right and the AMT...not so right. Perhaps in the first time in their lives the management of MRD were suitably pleased when the hole didn’t hit anything significant. It partially validated AMT as a method of finding mineralisation. Prior to delivering the recent results at MRDD016, MRD sunk two diamond holes into the AMT anomaly. Things didn’t quite go to plan on MRDD015, drill rods were lost down the hole, information was patchy and a re-drill came from the reverse angle. The next hole MRDD016 was terminated at 620m in disseminated sulphide-bearing gabbronorite to peridotite intrusive, around this stage the company made sweeping changes. MRD appointed a new Chairman and Managing Director and also appointed CSA’s nickel sulphide expert Tony Donaghy to do a complete review of the company’s data base. MRDD016 at 620m was yet to encounter the lower most contact of the intrusive with the surrounding footwall rocks. The geology and sulphides encountered in the end of the hole (620m) suggested that the hole should be re-entered and continued to its original planned depth of 750 – 800m and that’s just what the new team ordered. As part of the ongoing relationship with CSA Global, geologist Simon Pigatto managed the completion of MRDD016 under the supervision of CSA Global Nickel expert Tony Donaghy. 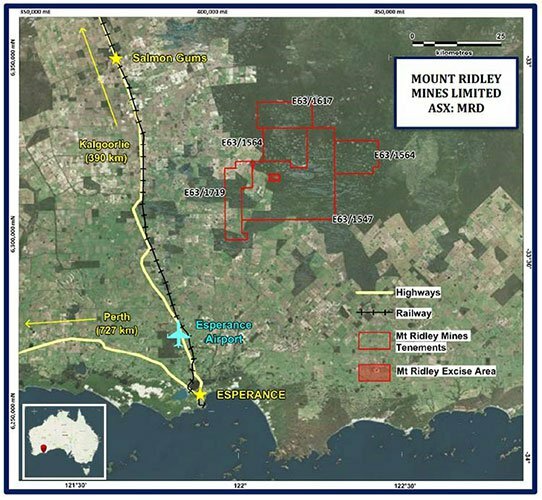 Tony Donaghy will be acting as the Company’s key geological representative and is currently completing a review of MRD’s Mt Ridley project. For those who don’t know, CSA has long been recognised as leaders in resource management and exploration for nickel laterite and sulphide deposits, while Donaghy is a recognised global specialist in nickel platinum strategy, development and exploration. With plenty of exploration data to come, now that it is getting closer to its electromagnetic anomaly, MRD is now angling to become the successor to Sirius in the Fraser Range – why is that so important? A host of small companies have pegged their tenements in the Fraser Range, all trying to become the next Sirius Resources – a company which went from penny dreadful to a $1.8BN takeover. Of course, there is no guarantee that MRD will end up treading the same line, so before making an investment decision, take all information into account and seek professional financial advice. The Sirius experience does demonstrate that it is actually a possibility if everything goes absolutely right. The way Sirius and the follow-up Bollinger deposits were discovered (or so the legend goes) was through an experienced prospector by the name of Mark Creasy literally walking around the Fraser range taking soil samples. He took soil samples over what would become the Nova deposit – but he needed more information to go on. It was when the Geological Survey of WA released aeromagnetic data maps of the range that Creasy was able to marry up what he was seeing in the soil with the topography of the area. Several holes later (and down to ~ $200,000 the legend has it), it hit the motherlode. Before this point in time Sirius shareholders had been an unhappy lot with only the faintest of hints something was going on. Sirius shares had been trading at 5.7c the day before it announced the discovery. Days later, that would go up to 99c. A few months later, those shares would hit $4.99. It had gone to 5.7c to $4.99 in the space of months. Sirius had announced a resource of 4 million tonnes at 3.8% nickel and 1.4% copper. In 2013 it followed up with the Bollinger discovery – 4.4 million tonnes grading 1.8% nickel, 0.7% copper and 0.07% cobalt. Combined with the higher-grade Nova, it gave Sirius a total project resource of 14.6mt at 2.2% nickel, 0.9% copper and 0.08% cobalt. Fast forward to last year – and it was taken over for $1.8 billion. It’s a story which gets trotted out by almost every nickel hopeful in the Fraser Range which has subsequently tried to take a shot at emulating the feat. None have, and the market is waiting for an upstart to spur the next wave of exploration in the region. Could MRD be on the cusp of the breakthrough the region wants? 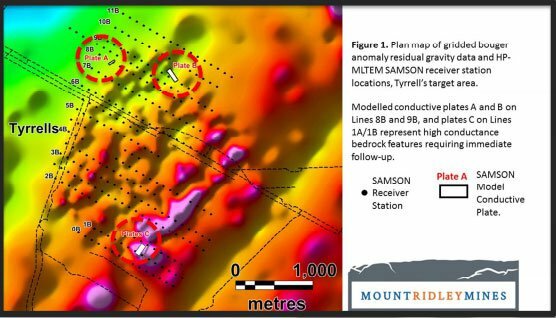 MRD is in that sweet spot for small investing – Results from the recently completed diamond drill hole MRDD016 and the planned modelling could set MRD up for a big run. The next few months, at the very least, have the potential to provide catalysts for the company as it looks to capitalise on current results. Will MRD’s Current Drilling Unveil another Fraser Range Nickel Discovery?